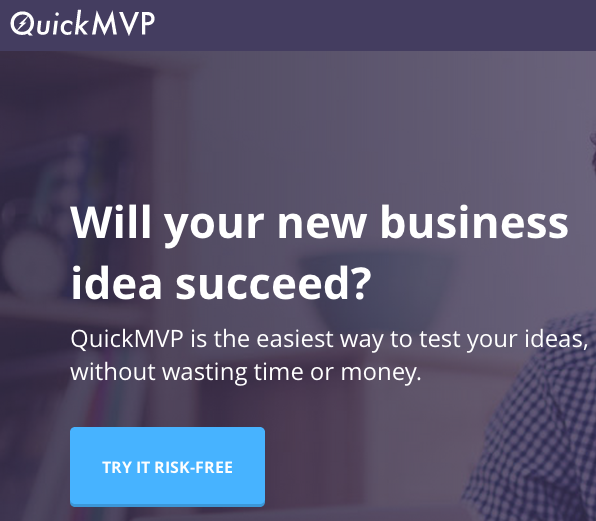 Validate Your Business Idea with QuickMVP | Brand On! ⬅ What WordPress Theme Is A Site Using? Do you have an incredible idea for a new product or service? A “game changer?” Really? How do you know anyone will actually buy that? Quick MVP will put your idea to the test. It let’s you to create a quick landing page, with no coding involved. The landing page comes with built-in tracking and goal setting to help validate your idea with potential customers. But it’s more than just a landing page; it also integrates directly with Google AdWords. This allows you to start testing ads with keywords related to your concept. In other words, you can drive traffic to your landing page and use it to gauge interest. You do not even need a Google AdWords account—you can use QuickMVP’s “house” account behind the scenes.